Prices start from $60.00. Contact me today to discuss your needs. If you own a business, bulk discounts apply! Great Ocean Road - VIC, a set on Flickr. There’s times when you need to freshen-up your website and advertising material with new images so you can attract new customers. New customers are critical to growing a business and to maintaining market share. By licensing professional images that have already been created, you can save your business money because you do not have to commission a professional photographer. Let’s say your business is involved in the travel or tourism industries. It’s imperative to show your customers images that are not 10-15 years old. 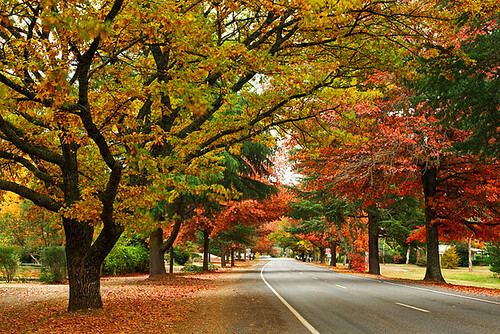 Consider selecting new images from the Darren Stones Stock Photography gallery. I specialise in licensing images to businesses and individuals. Prices start from $60.00 and discounted business packages can be tailored to suit your needs. For further information, see my Photography page and contact me today to discuss your needs. Darren Stones Visual Communications recently had the pleasure to supply five high resolution digital photographs to multi award-winning Australian tour operator Bunyip Tours. 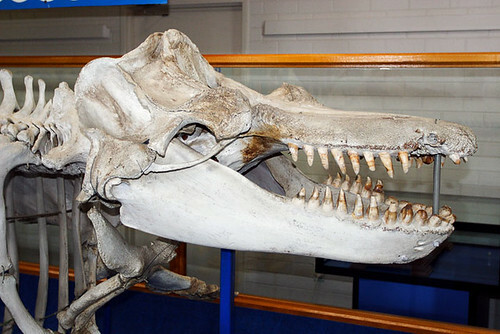 Bunyip Tours who are located in Flinders Street, Melbourne, were seeking fresh images for brochures, their website and posters for marketing and promotion activities. 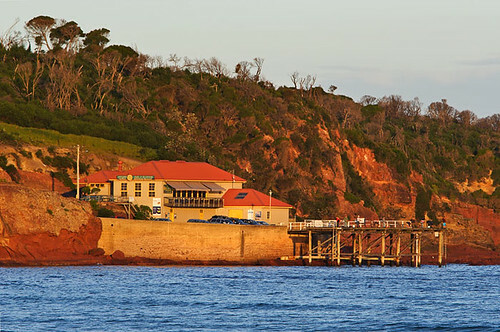 Bunyip Tours was a finalist in the 2010 Qantas Australian Tourism Awards and we congratulate them for their achievement. We are delighted to assist Bunyip Tours improve their image in the Australian travel and tourism industry by supplying images from our ever-growing image library. It's rare to get the opportunity to see some of Australia's best rock'n'roll talent assembled in one place in Melbourne to perform an outdoor gig over seven hours. But when that occasion arises, it's best to book tickets fast and prepare your best-looking black shirt. 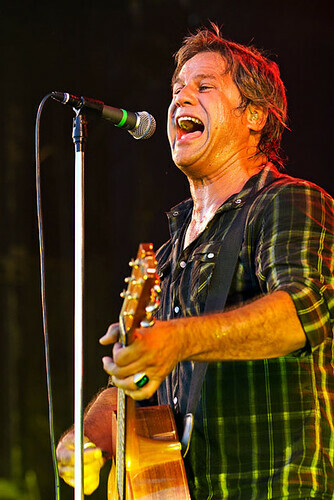 Last Saturday between 3-10pm, the North Melbourne Football Club hosted Aussie Rock on Arden featuring Jimmy Barnes, Jon Stevens and Noiseworks, Ian Moss and Shannon Noll. With the temperature reaching 30 degrees Celcius, things were hot and sweaty both on and off the stage. Fold-up chairs and picnic blankets were the order of the day for the patrons who gathered on the oval, along with plenty of water, sunscreen, hats and sunglasses. First of the headline acts to perform was Ian 'Mossy' Moss. 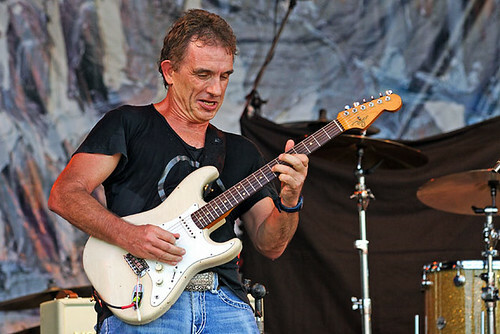 Formerly of Cold Chisel, Moss performed a set which included his solo hits Telephone Booth and Tuckers Daughter from his first album Matchbook, plus My Baby and Bow River which he wrote and performed during his years with 'Chisel'. TV personality and comedian Peter Hellier was MC for the event and his close friend and Collingwood footballer wannabe Brian 'Strauchnie' Strauchan made a brief yet memorable appearance. Whilst Shannon Noll was on stage belting out What about me, Strauchnie saw fit to enter from stage right and begin hollering out What about Strauchnie. Being typically not-so-humble in the company of real talent, Strauchnie soon realised he was out of his vocal league and went back to wherever it is that he loiters in between engagements. 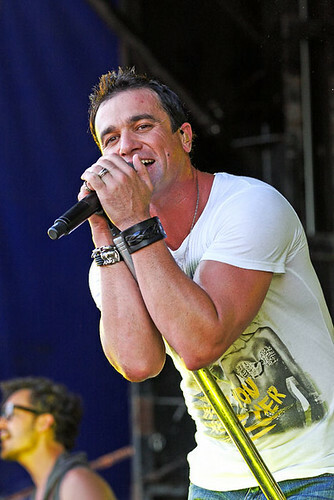 Shannon Noll opened with Loud, which so happens to be my favourite track of his. 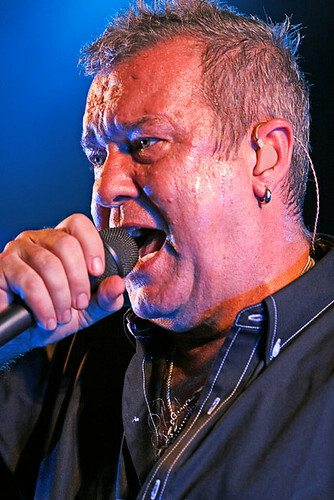 From the days of obscurity where he was discovered on Australian Idol in 2003, Noll's performance and voice has matured to a point where his presence in such popular company was warranted. His stage performance quickly commanded the attention of the crowd and they in turn responded to his highly-charged performance. The ladies just love him. 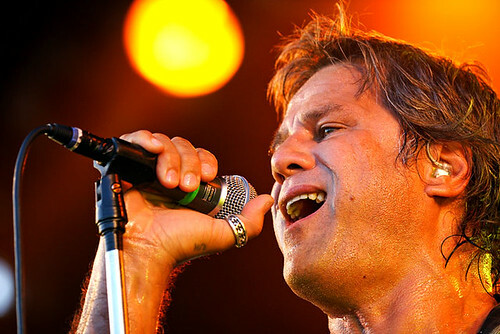 Noiseworks have re-formed and with Jon Stevens out front are playing as good as ever. 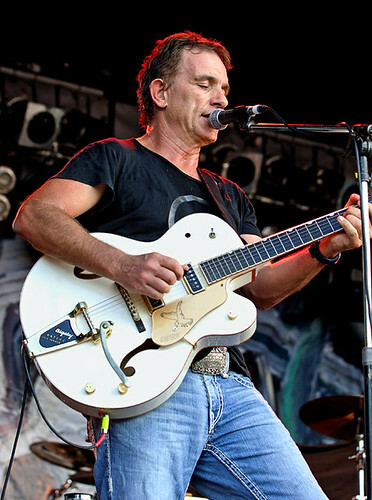 Long regarded as one of the country's most under-rated acts during the 1980s, Stevens announced to their fans that Noiseworks will be recording a new album - their first in 19 years. 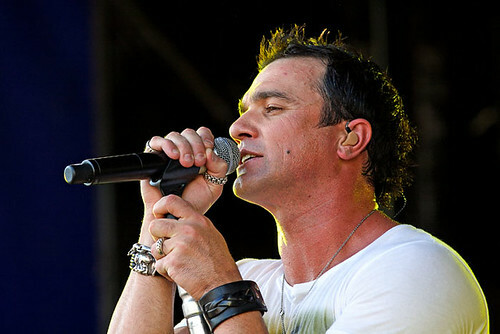 Noiseworks' performance was regarded by many in the crowd as the best of the night with Stevens's voice and energy reminiscent of decades gone by. Stevens is ageing like a fine wine and is looking remarkably fit - a credit to him. Stevens dedicated Touch to those suffering from the aftermath of the Japanese earthquake and tsunami disaster. 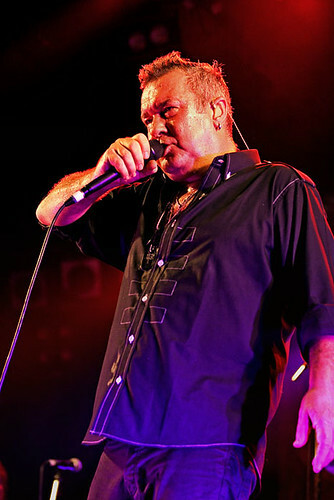 Jimmy Barnes was the headline act of the evening and deservedly so. In the style Australians are becoming accustomed to seeing, he quickly commanded the full attention of the audience. Barnes has arguably become the elder statesman of Australian rock and seems to be revelling in his role. Barnes, who was accompanied on stage during his 90-minute performance by three family members, finished the night strongly by pleasing his screaming fans with Driving Wheels and Working Class Man. Why: Great range of caravans, campers, tents, camping gear and more. Sponsored by CIL insurance, the biggest caravan and camping show in the southern hemisphere is landing just in time for the touring season. Check out a massive range of caravans, motorhomes, camper trailers, tents, camping gear and every accessory under the sun, so you don’t have to leave luxury behind when you leave home. Every year more and more Australians are making the great leap, discovering how affordable and awesome touring Australia can be. Whether you’re into weekends away or the big lap, they’ll be something at the show to get your pulse racing. Over six days experts will be on hand conducting seminars on everything you need to know to hit the road smiling. As usual, the grandstand will be packed to the rafters with tourism displays offering invaluable free advice for your next adventure and there will be loads of free 2011 Tourism & Caravan Park guides. Coxy and Franky J will be there to entertain the adults, with Roary the Racing Car on hand Saturday through Monday for the kids. Win fantastic prizes, with a Paramount Caravan worth over $30,000 up for grabs! Open Thursday through Tuesday from 9:30AM, parking is free before 11AM. Admission is $17, kids under 15 are free. Pensioners and Senior’s Card holders $13. Wheelchair access and disabled parking available. In August 2010 I enrolled in the National Editor course with Australian College QED. The course is part of the Nationally Recognised Training framework and on completion I will be awarded a Diploma of Editing (Publishing). My purpose for undertaking this course is to increase my skill levels in the publishing industry because I'm on the verge of commencing a book. By commencing a book I mean to undertake strategic planning whereby making it profitable. I'm currently in search of a small business specialist to assist me in developing a comprehensive business plan for the publication. I have the concept of the book firmly etched in my mind and believe there is a growing market for the style of publication I wish to write and publish. I'm looking to make it an interactive publication where readers become inspired to improve their life. I suspect the publication will see me travelling to various parts of Australia due to wanting to meet people. To date I've completed six assignments in the course and I'm pleased with the grades I'm achieving. The course material is well presented and the feedback from my tutor Leila Kertesz is informative and encouraging. My strategy is to complete (on average) one assignment per month as I find this to be a reasonable balance with other commitments I have. As a correspondence course, the benefit is that I can dedicate study time to suit my lifestyle. Here's a list of the six modules I've completed, along with the grades achieved. I'm currently working my way through module seven which is Develop Knowledge of Structural Editing I and I'm well into the assignment. I remember the days—before Facebook and iPhones—when I’d peel back the foil paper of a neatly-wrapped chocolate Easter egg and begin to ponder its fate. Inevitably I’d begin playing with my food and go through the annual Humpty Dumpty sat on a wall ritual. Not surprisingly, Humpty would come crashing down and shatter into bite-size pieces and then I’d munch away to my heart’s content. A kid’s got to do what a kid’s got to do! 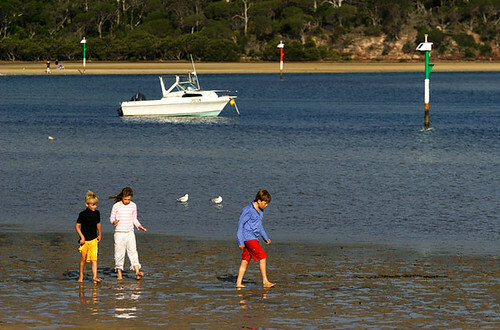 When it comes to entertaining your kids this Easter, the Sapphire Coast in New South Wales is the ideal place to take a holiday. With an abundance of kid-friendly things to do, it's time for mums and dads to make accommodation bookings in readiness for some terrific fun and games. 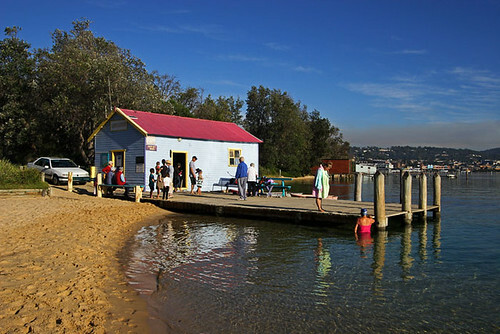 I’ve had Liz Swanton from Sapphire Coast Tourism on the case and she’s come up with some great Easter holiday ideas. 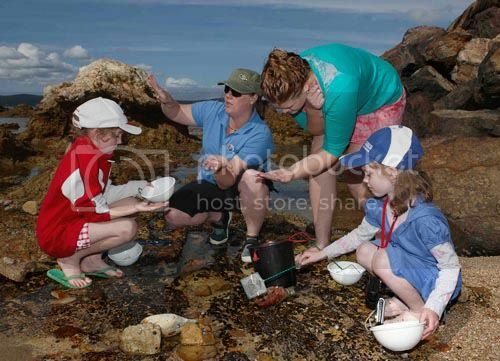 “If your kids are captivated by critters, the Sapphire Coast offers fascination aplenty in the school holidays,” she said.